There is something about cold weather which seems to affect phone and camera batteries – they drain quickly only to revive again when back in the warm. Or is it just my technology? The reason for mentioning this is that I have a new camera, courtesy of Father Christmas, and it didn’t fit into my old camera case. For a while, I took it out to play in a mere wisp of a cover, to stop the screen getting scratched. One particularly frosty morning, the battery registered full before I went outside only to threaten “no charge” when I was taking photos. This has happened occasionally with phones too. 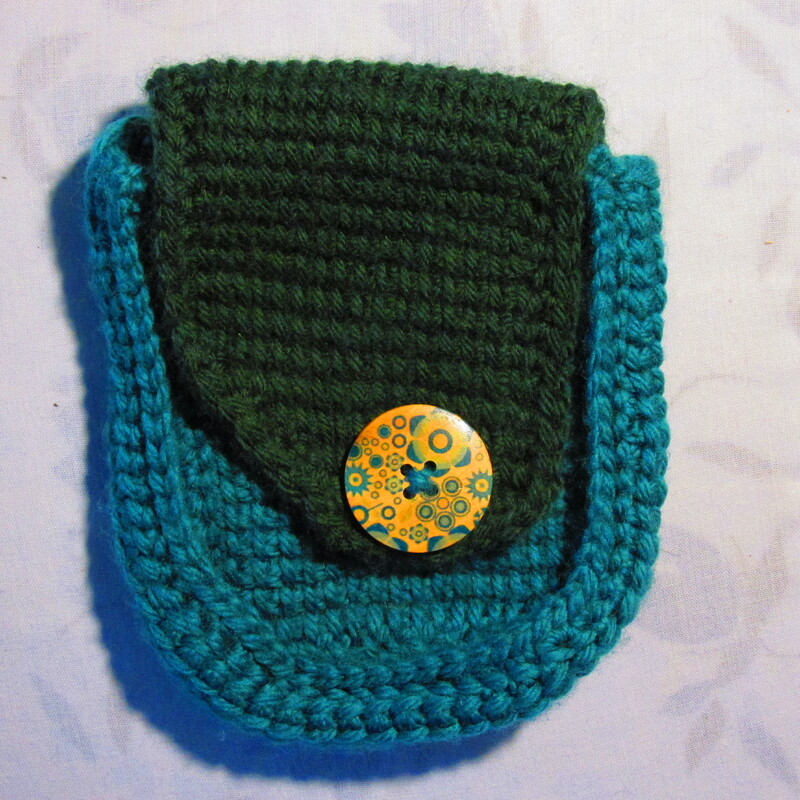 So I decided to crochet a cosy for said camera, utilising a tranche of my ever-growing stash and one of the buttons that came free with a magazine a while back. Using Tunisian simple stitch, and an envelope style with asymmetrical flap, the whole thing was stitched up using dc as an outside seam. My camera hasn’t complained of cold since, even when I took it out on the one day of settled snow here in north London.